Creating adequate policies to protect natural areas and biodiversity requires the adequate mobilisation of consistent, relevant and structured biodiversity information aimed at guiding decision-making. 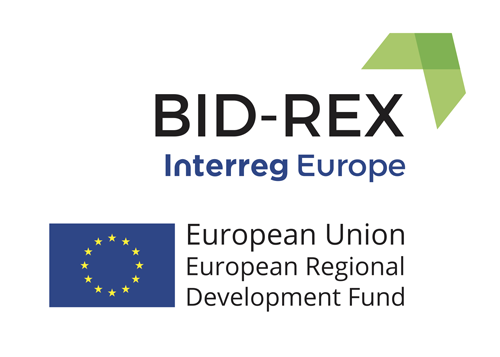 BID-REX aims to enhance natural value preservation through improved regional development policies by creating/reinforcing the link between relevant biodiversity data and conservation decision-making processes. More specifically, it aims to facilitate the use of biodiversity information and increase the impact of ERDF allocation in the preservation of the European natural heritage by providing decision-making processes with appropriate biodiversity information. evaluating policies and the fulfilment of goals established in strategic documents and regulations. understanding of the links between biodiversity (species/habitats) and the condition of the ecosystem (vitality, resilience and productivity) and between the condition of the ecosystem and its capacity to deliver ecosystem services. understanding past and potential future change in a key thematic or sectoral field. At the interregional seminar in Wallonia in February, we addressed the subject of information needs for decision-making and identified the strengths and weaknesses in this area. This second workshop will focus on analysing how information can help to satisfy the needs identified and whether the information we currently generate meets those needs or not. We will start from the basis of weaknesses and strengths and proposals for improvement identified in the first workshop. Key stakeholder representatives will exchange experiences and views of how biodiversity and environmental information is generated in different contexts ranging from citizen science platforms to research environments. How information is collected, maintained and validated will be explored and successful experiences documented and structured to serve as a basis for new developments in other regions. The information we have, is it fit-for-use based on our requirements? Good practices: A good practice is a process or methodology that has been shown to work well, succeeds in achieving its objective(s), and therefore can be recommended as a model. An explanation of the greatest difficulties experienced in putting them into practice and how these have been overcome is highly recommended. Needs: It is about exposing what you want to do and you do not know how or putting questions on the table for further discussion. 11:15-13:00 BLOCK 1: The information we have, is it fit-for-use based on our requirements?